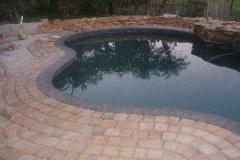 You get quality workmanship with competitive pricing for new swimming pool construction, and existing pool renovations. We offer a complete packages including: landscaping, Kitchens, Decking, and Enclosures. 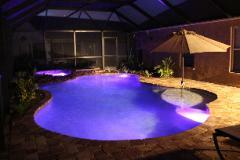 Pool Works is a very custom builder that offers unmatched personal service. If you have questions or would like a free quote, please contact us. hundreds of options available. Pricing and Quality are both important. located in Manatee county and work throughout. owned company that creates custom well designed poolscapes. See pictures and descriptions of our new pools and patios. 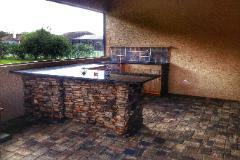 Outdoor Kitchens, Firepits, Lighting, and Screen Enclosures. contractor can make the project uniform and less expensive. 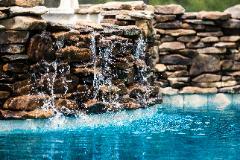 We offer affordable Natural Stonework for new and renovated pools. the entire poolscape to create a balanced design. concierge service, and the area's best warranty. accessible. Click on the icon to see our pool building steps. 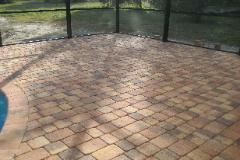 free quote on our paver decking, as well as other pool builder's services. Heating, Colored LED lighting, and much more. mind dealing with a local, family ran, A+ BBB accredited pool company.